With prime waterfront Naples Real Estate emerges the breathtaking community of Aqualane Shores, renowned for its deep-water canals, luxurious selection of homes and proximity to some of the best shopping, dining and outdoor recreation in the entire Naples area. This refined community of homes offers some of the very best options in new construction estate-sized homes, intermingled with the opulent nature of living right alongside Naples Bay and it’s world-class amenities. More about Aqualane Shores Homes for Sale. A short walk from nearly all of Downtown Naples’ most revered sites and attractions, the privileged homeowners of Aqualane Shores relish in extravagant, coastal estates, encircled by the spectacular beauty of Southwest Florida and the emergence of a newly formed relationship between Old Florida style and modern comforts and conveniences. Now with around 350 Aqualane waterfront homes to choose from, set among the hundreds of acres of land encircled by the Gulf of Mexico and Naples Bay, the upscale residences cater to a very discriminating buyer in search of the comforts of bayside living as well as the sheer luxury of living within one of the region’s finest communities for generations. 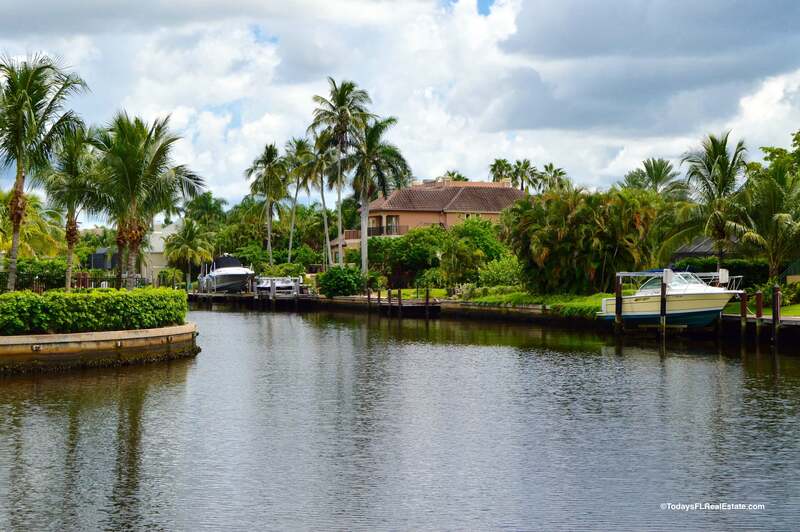 As most of the waterfront estate homes are situated upon deep water canals they offer the luxury of direct access out on to coveted Naples Bay and on to the Gulf of Mexico, ideal for an enriched boating lifestyle without restraints. While the first homes of Aqualane Shores were first constructed around 1950, around the same time Naples began as its own city, many of the older homes of the area have since been torn down and replaced or remodeled into some of the most exclusive new construction homes in the region. 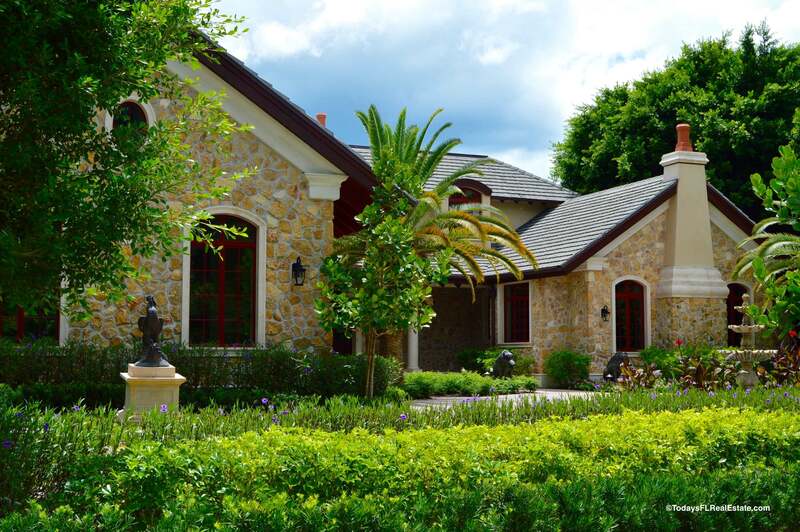 This ever-evolving community continues to go through major changes as new construction forms a new enhanced identity for this long-standing treasure of Naples, Florida. 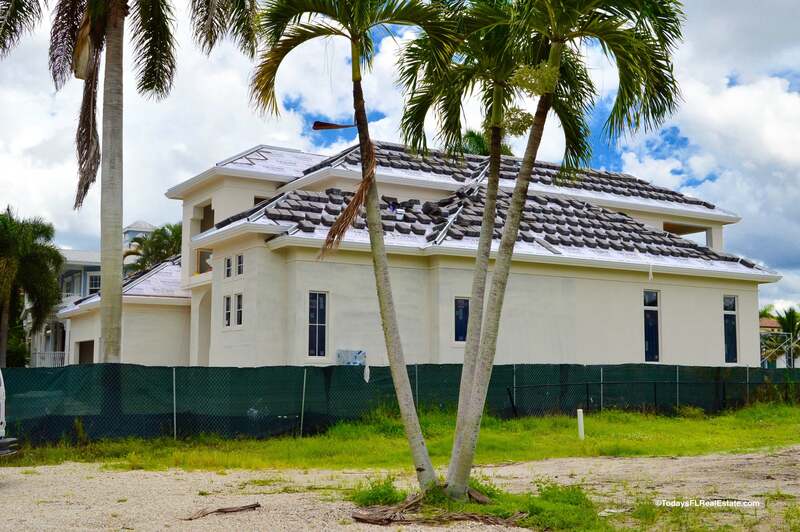 Priced starting in the high $1 million range for some of the remaining older construction homes in the area, it’s not unusual to find some of the newly constructed Naples waterfront estates priced in the multi-million dollar range, with upscale features and finishes at every turn. Aqualane Shores real estate knows no boundaries, as older homes and properties are modernized to compliment the unique surroundings, offering new homebuyers an astonishing number of luxury homes in Naples, Aqualane Shores to choose from. All of the Aqualane Shores new construction homes capitalize on their magnificent surroundings, with an excess of private outdoor recreation possibilities. From gated, modern estate homes with infinity-edge swimming pools nearly up to the shore of Naples Bay to private boat docks, lifts and unmatched waterfront views, there is no equal when it comes to the extreme luxury and appeal of this coveted community of homes. The generously appointed homes are just as stunning on the inside as the outside, with the latest options in quality construction masked by the sheer beauty of the designs possible within this remarkable community. Expect to find such high-end features through the exquisite homes as cathedral ceilings, decorative crown molding and wainscoting, plus chef’s-style kitchens, outfitted with very latest top-of-the-line appliances and features. The custom-built and designed homes of Aqualane Shores exist in tasteful sophistication, one of the most alluring communities near the downtown area. With unmatched bay views from nearly all rooms of the homes, the master suites of Aqualane Shores offer only a glimpse of the overall beauty and luxury within, as many of the guest suites of Aqualane Shores real estate are just as regally outfitted for the comfort of large families and guests. Exuding elegance in every respect, yet staying true to the unpretentious charm of Southwest Florida, luxury homes in Naples, Aqualane Shores effortlessly blend extravagance with comfort, a refined lifestyle with the appeal of waterfront living at its very best. Walls of windows easily transform the outdoors and the indoors into one space, allowing for an excess of entertainment and living space throughout the year for Naples homes, Aqualane Shores. From the many private terraces to private sundecks and expansive waterfront access, Aqualane Shores homes for sale exude a sense of serenity and privacy, yet remain comfortably close to everything you need and want in the region. Tucked away south of The Moorings and Coquina Sands and north of incredible Port Royal, the area remains one of the most desirable communities for new homeowners, offering the ease and security of new construction homes with the desirability of living within one of the Naples area’s most impressive neighborhoods. Fusing unlimited outdoor recreation possibilities with extravagance, Aqualane Shores continues to attract new homebuyers searching for a unique yet refined lifestyle, close to some of the most desirable sites and attractions in the Naples region. Located just to the south of vibrant Fifth Avenue, residents of Aqualane Shores can easily stroll to one of the area’s most privileged and flourishing areas, overflowing with an excess of things to do and places to see. Meanwhile, the community also remains close to historic Third Street too, together giving this impressive community of homes plentiful options in upscale dining, shopping and entertainment. From elegant boutiques to extraordinary galleries, the homeowners of Aqualane Shores enjoy a lifestyle where upscale amenities exist at every turn. As well, options in Aqualane Shores real estate are also close to the Naples Pier, the perfect location to cast a line or set out on a sunset stroll, plus within a short walk of popular beaches that continually draw in residents and visitors alike to the region. Other enviable nearby locations include Cambier Park with its picnic grounds, sports fields, tennis courts and bocce ball courts. For the timeless charm of Southwest Florida waterfront living, intermingled with the classic tradition of elegant homes and desirable nearby sites and attractions, there is no comparison to the splendor of living within Aqualane Shores. Whether you are in search of luxuriously constructed new estate homes right on the water or waterfront property to construct the homes of your dreams, you will find it all living bayside within the remarkable and illustrious long-standing community of Aqualane Shores real estate.